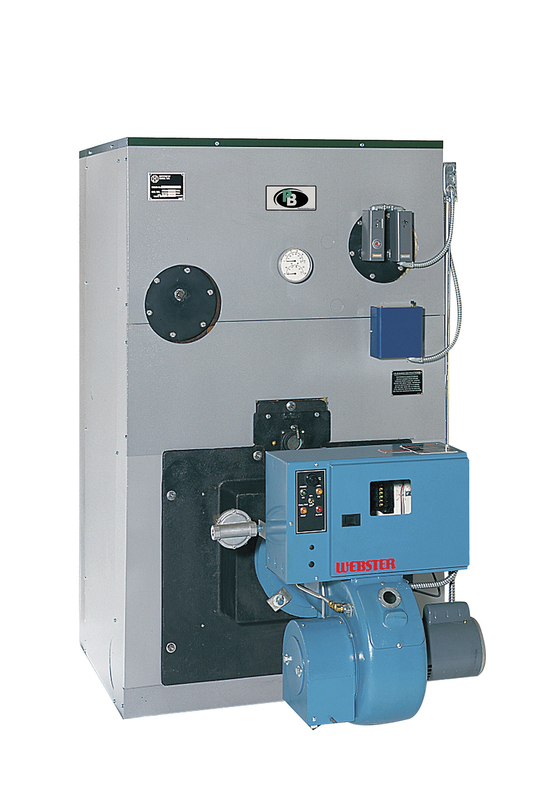 The forced-draft, cast iron Series LC/LCE™ boiler can be equipped with efficient burners for applications requiring gas, oil or combination gas/oil firing. 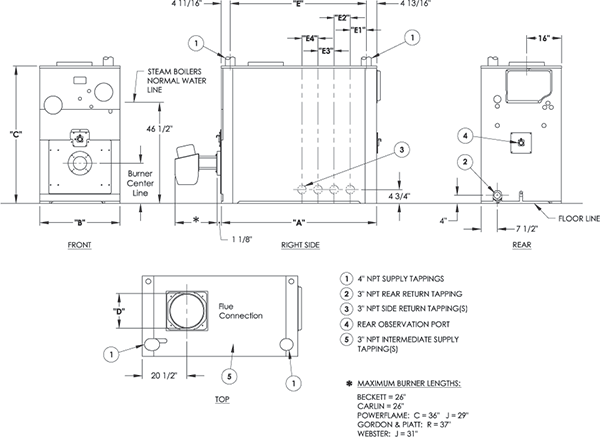 There are 22 commercial sizes available for hot water or steam applications with inputs of 686 MBH up to 4,663 MBH, and thermal efficiencies of up to 83.7%. The advanced design allows for simpler installation using flex-seal gaskets and individual draw rods, as well as easy access to the boiler via top and front plates for inspection and cleaning. 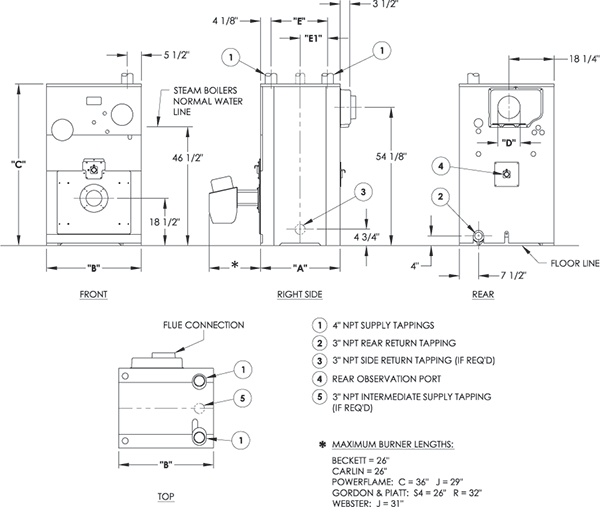 Optional tankless coils can be added for production of domestic hot water. Net water ratings based on allowance of 1.15. Net steam ratings based on an allowance for LC-04 to LC-08=1.333, LC-09=1.323, LC-10=1.310, LC-11=1.298, LC-12=1.290, LCE-13 to LCE-24=1.288.extensive piping systems, etc. 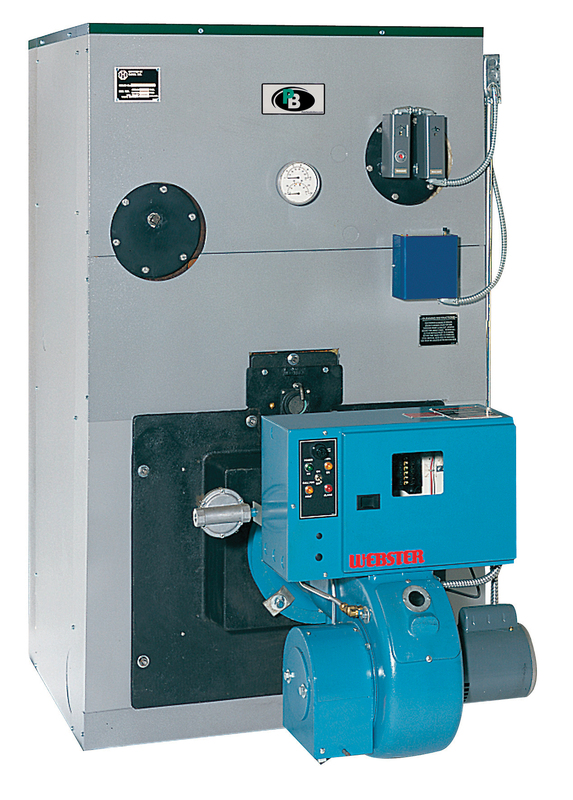 Combustion and thermal efficiencies are determined in accordance with BTS 2000 Testing Standard. Apply Prefix”O” for oil—”G” for gas—”GO” for gas-oil. basis of its Gross Output.